Travel Route 104 West to the end of the expressway (the Keeler Street Expressway Section, after you cross the Irondequoit Bay Bridge, or you exit Route 590 North, is about 4.5 miles). You want to be in the left lane when you get to the end of the expressway. Fork to the left (Ridgeway Avenue) and take the first left (Lake Avenue). There is a 7/ Eleven Mobile Station and a Rite Aid Pharmacy on opposite corners. 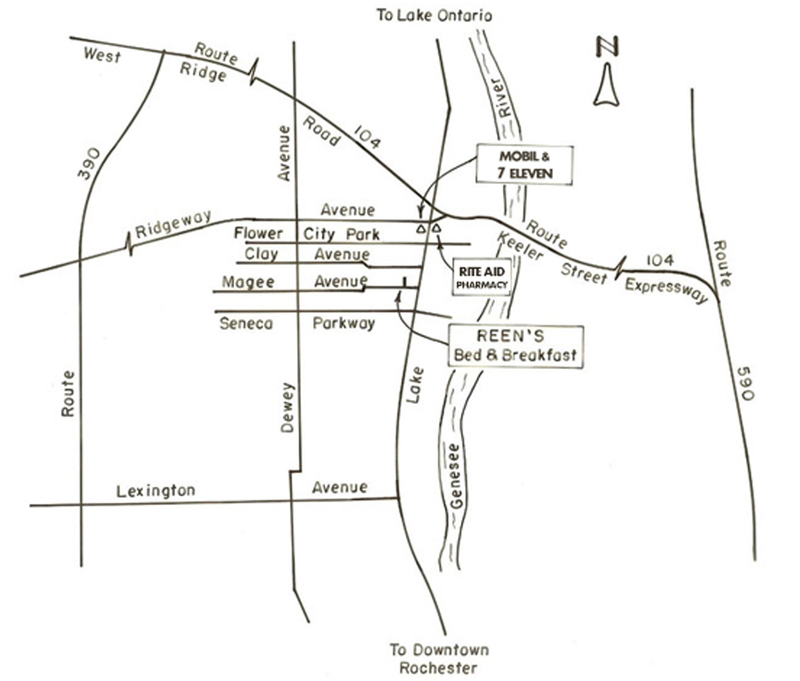 Magee is the third street on the right just after 1325 Lake Avenue. 44 is the fourth house on the right.